For years, Lynch, Cotton & Associates, PA has been providing quality, personalized financial guidance to local individuals and businesses. Our expertise ranges from basic tax management and accounting services to more in-depth services such as financial statements and financial planning. Lynch, Cotton & Associates, PA is one of the leading firms in and throughout the area. By combining our expertise, experience and the team mentality of our staff, we assure that every client receives the close analysis and attention they deserve. Our dedication to high standards, hiring of seasoned tax professionals, and work ethic is the reason our client base returns year after year. Our mission is to help clients maintain financial viability in the present, while taking a proactive approach to achieve future goals. This requires open communication to reach an understanding of our clients' needs through research and sound analysis. Lynch, Cotton & Associates, PA is dedicated to meeting these goals with high standards of excellence and professionalism. We have been a staple of the area's business community for years, and pride ourselves on the level of esteem we have earned. Our dedication to hard work has earned the respect of the business and financial community in and around the area. We believe this to be a direct derivative of our talent and responsiveness to our client base. Whether you are a current or prospective client, rest assured that individuals and businesses who choose Lynch, Cotton & Associates, PA receive competent and timely advice. Gregg is a partner of Lynch, Cotton & Associates, P.A. He has over 30 years accounting and tax experience. He is also a financial advisor. 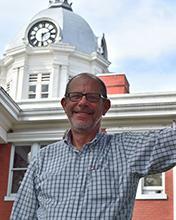 Gregg is a member and past president of the Dade City Kiwanis Club and was also a member of Dade City, City Council. Gregg also coaches youth soccer and Little League Baseball. Julie Cotton is the managing partner of Lynch, Cotton & Associates, P.A. With over twenty years in practice, Julie is a Certified Public Accountant (CPA), and has a Masters in Accounting (MAcc). In addition to her CPA tenure, she is also a QuickBooks Professional Advisor with over ten years of experience and a wealth of QuickBooks knowledge. Julie is very active in our community. She serves on the board of several civic organizations. 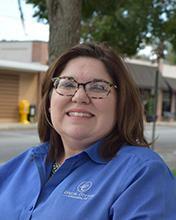 She is the current Treasurer for Dade City Women's Club, the Dade City Rotary Club and a member of the board for the Dade City Chamber of Commerce. Bill was managing shareholder of the firm for over ten years and continues to serve his diverse client base with dedication. He has over 35 years of experience focusing on business and individual tax strategies, as well as a specialization in trust taxation. 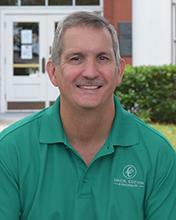 John graduated from Southeastern University with a Bachelor of Science degree in Business Management. He furthered his education at Nova Southeastern University where he earned a Master of Accounting degree (MAcc). In 2016 he completed his CPA certification, which has made him a great asset to our firm. 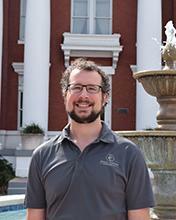 John excels with tax preparation, accounting, QuickBooks consulting and compilation services. Mary came to us in 2016, she has valuable experience with bookkeeping, and other day-to-day operations of small businesses. She assists in the payroll, sales tax and other write-up functions we provide for our customers. 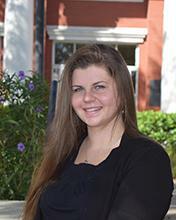 Marissa is one of the firm’s Administrative Assistants. She is a fun spirited young woman, with an eagerness to learn. She aids with client relations, organizing client documents and making sure information is input accurately. She is a helping hand who is always ready to step up and assist in any way she can. Jackie is a graduate of Florida Southern College and St. Leo University and has over 20 years of accounting experience in the corporate environment. She is retired from TECO Services and enjoys the opportunity of continuing to work in the accounting field but at home and in the community where she grew up and lives. Jackie is very knowledgeable in bookkeeping and has many years of experience in accounting and is a great asset to our CPA’s. 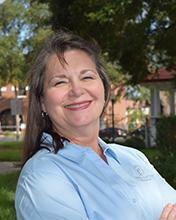 Angela serves as our office manager and has been with us for over 5 years. She is the "Go-To" girl in many ways. She is in charge of many important clerical duties including but not limited to payroll, billing, and accounts receivable. She brings a passion for organization and contributes greatly to the entire office. Christina is a new face to our firm. She adds brightness to our front lobby with her cheerful spirit and positivity. Christina welcomes our clients as they enter the office and assists them when they call on the phone. She also acts as an Administrative Assistant, delivering daily support for the associates and staff. Christina has over 15 years of customer service experience. Before coming to our firm, she was a customer service representative at Concentra. In her time there, she was the only employee to earn a perfect score on her Customer Service and Quality Assurance review, she maintained her perfect score for three months in a row. 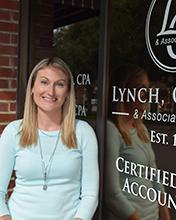 She continues to demonstrate that level of professionalism and enthusiasm here at Lynch, Cotton & Associates, P.A. Theresa is another important member of our accounting team; Theresa brings 25+ years of accounting experience and helps us greatly with preparing returns and doing book keeping during our busy seasons. Theresa is also active in her church and youth ministry. Barry, one of our original partners, recently retired after 42 years of service. Even in retirement, he contributes his extensive knowledge to the firm. He served as Little League Treasurer for over 40 years.